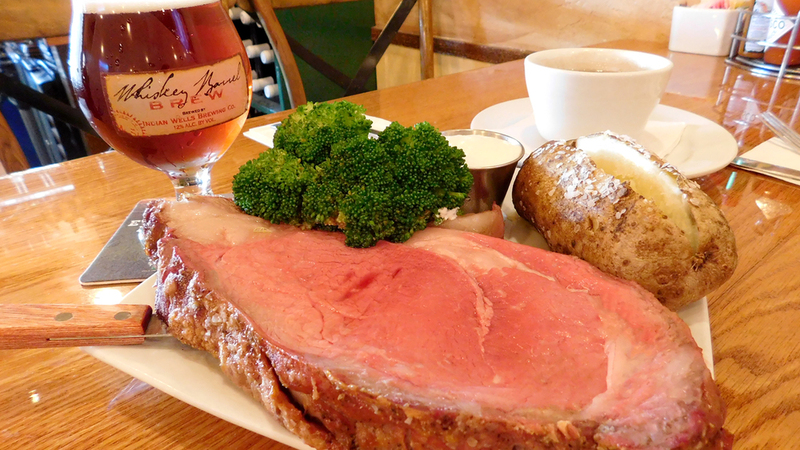 We have the Best Prime Rib in Huntington Beach, hands down! Every Friday, Hangout Too offers its succulent Dinner Special. Included are sides of Hot Potato and Fresh Vegetables. Nowhere else will you find a Prime Rib Special with this value and service. We're an unassuming, casual Huntington Beach Restaurant off Bolsa Chica and Heil Avenue minutes from Bella Terra. This is the spot to beat the crowds and relax with a neighborhood feel. Experience our great Cocktails, Wine and Craft Beers on draft. Free parking is available without time limits. Friday they serve a prime rib you could cut with the side of a fork. They do serve a yhummy chicken and waffles daily but do have breakfast on the weekends. The bar is stock with many unusual craft beers. The service is outstanding. Come join us and say hi to Charlie. Enjoy the best of both worlds. Our open Restaurant/Bar adjoins to an inside dining area. With plenty of TVs throughout, you can stay up to date with the game or what's happening in Sports. Our Outdoor Patio has heat lamps when or if the ladies get cold. We are also one of the few dog friendly Restaurants. Join us for Prime Rib in Huntington Beach on Fridays. Seeking the best Prime Rib Special near Me? we're close to Bella Terra, Huntington Harbour, Westminster, and Fountain Valley. Our large portion paired with our Craft Beers on tap makes it worth the drive.